JOHNSTOWN, Pa. — Many retired hockey players struggle to figure out how to live life after hockey. For some of the Penguins alumni, broadcasting is the answer. 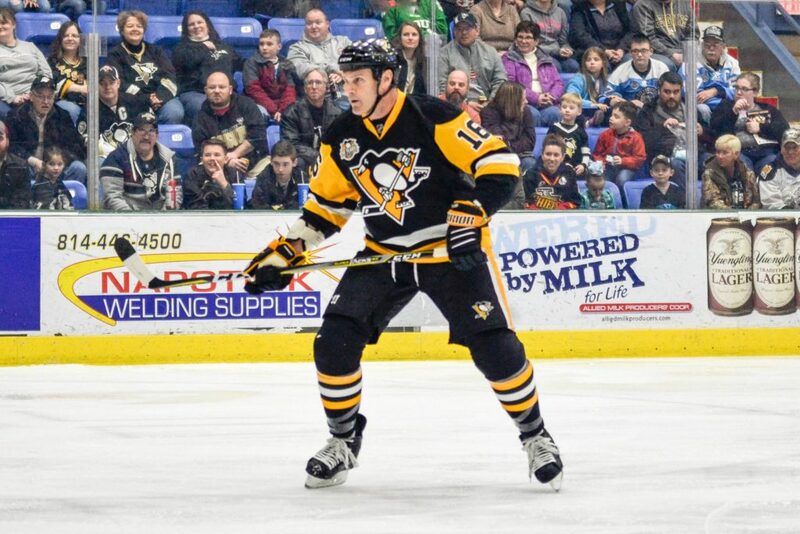 That doesn’t mean they still aren’t hockey players at heart, as they showed at the Penguins Alumni Classic in Johnstown on Friday. But for now, many of them have a day job in the game that includes more speaking than skating. Phil Bourque played for the Penguins for eight seasons from 1983-1992 and won two Stanley Cups. When he retired from hockey as a member of the Senators in 1996, he knew that broadcasting was the path that he wanted to take. It just didn’t happen right away. Colby Armstrong, who played for the Penguins from 2005-2008, now provides his personality for AT&T Sports Network along with Sportsnet. When he wrapped up his NHL career, he knew that broadcasting would be a fit for him. While Bourque and Armstrong aimed to go into broadcasting, that wasn’t the initial plan for Jay Caufield, who was a former two-time Stanley Cup champion with the Penguins and is a current studio analyst for AT&T Sports Network. Broadcasting isn’t as physically demanding or excruciating as the game of hockey is. But though it may look easy, broadcasting is much more difficult than it looks. Caufield said that being able to play the game of hockey adds an advantage for any broadcaster in the ability to see more than just X’s and O’s. A great broadcaster, he said, understands not only what is happening on the ice but what is also happening in a player’s mind. Armstrong said that after retiring, he wanted to be involved with the game. While he doesn’t get to lace the skates up every night, he is still able to enjoy the game he loves. Being able to still be involved with hockey was the popular answer on why these former players do what they do. “I’m still part of the game and I still get to do what I love,” Caufield said. Bourque, who gets to work with the legendary Mike Lange every game, admits that even though he has been doing radio almost as long as he played professional hockey, he is amazed every time he hears the legendary announcer. The NHL Players Association recently conducted a poll across the league on players such as who the best player is, who the hardest to play against is, and who is most likely to become a head coach. When asked who they could see as a future broadcaster, personality was a big factor. Armstrong said that of the current Penguins’ lineup, a player with a subtle personality could be a fit for broadcasting. Caufield couldn’t pinpoint any certain player that he sees joining the press box to broadcast, but he said that if a former player wanted to sit behind the camera, there are a few good traits the player should have.